Aussie Salvo Big Band's Adventures: Welcome to our adventure! Welcome to the official blog of the 'Australian Southern Territory's Salvation Army Big Band'. First off, you're probably wondering why we have such a long title. Well we wonder that too and can't answer that- sorry to disappoint. Secondly, who are we? 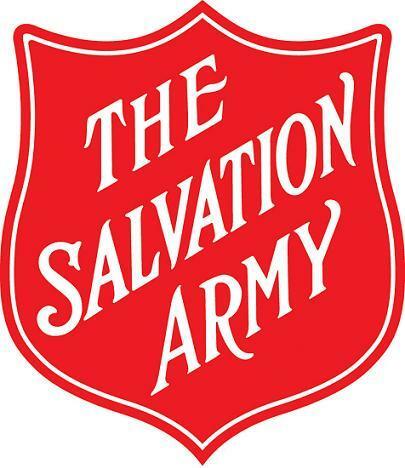 We're a group of Salvationists who have come from all over Australia to form a big band. And we don't sound too bad either! We play a variety of music including swing, shuffle and rock. Basically everything except for the typical music you'll see David George (leading alto sax player) dancing to every Saturday night! We leave to go to the Salvation Army's Territorial Creative Arts Camp in Blampied, Victoria this Sunday (4th July). We will do approximately 20 hours of rehearsal before finishing off our week with a concert at Ivanhoe Girls Grammar School on Friday (9th July). More information to come. Two days later (Sunday 11th July), we head off to Stockholm, Sweden for the Salvation Army's World Youth Convention, which will be held from Thursday 15th July to Sunday 18th July. We have been asked by the General of the Salvation Army to be special guests for the convention, so we are understandably thrilled and excited about being apart of this exciting occasion. Over the next few weeks, Emma Lewis (the band's manager) and myself (Ben Waterworth- trombone player and the most attractive specimen of the band) will keep you well informed of our movements. You can follow us on Twitter or on Facebook as well by clicking on those two links. Our email address is astsalvobigband@hotmail.com! Look forward to bringing you much more news, views and humorous material in the coming weeks.